Uh oh! You found a colony of raccoons living in or around your property! But before you pick up the phone to contact a local pest control company, you should know that raccoons are not rodents. You see, a rodent can be loosely defined as an animal with a pair of solid, growing incisors in both the upper and lower jaw, such as a mouse, rat, or hamster. A raccoon, on the other hand, is a meat-eating animal that lacks this characteristic set of incisors; so they are not in fact, rodents. 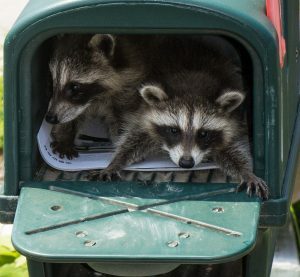 For this reason, if you were to contact the pest control company after discovering raccoons in the attic, they will quickly refer you to the proper authorities, which is generally a local wildlife rescue and control service that retains the proper state permits to extract and transport wild animals, like raccoons, legally. 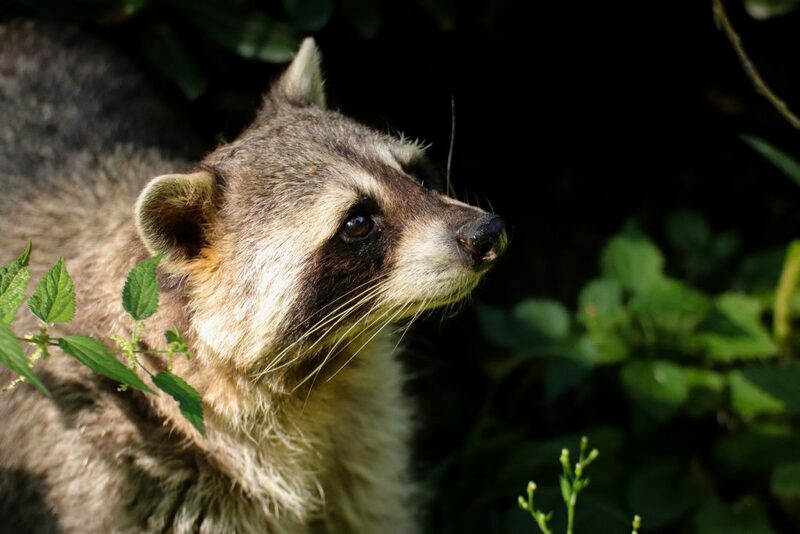 Continue reading to learn why a raccoon is not considered a rodent, but rather, a nuisance animal, and what you can do to safely eliminate the threat of raccoon activity on your property. The Common Raccoon, also known as the North American Raccoon, is a medium-sized mammal. They are of course, part of the animal kingdom, as well as, the Chordata phylum, Mammalian class, Carnivora order, Procyonidae family, and Procyon genus, all giving them their species name, Procyon Lotor. As for food, theirs tends to vary from season to season, but typically they will eat anything from insects, fruits and nuts to small reptiles, amphibians, birds and other vertebrates. One of the reasons we usually find raccoons going through our trash after dark is because they are nocturnal and sleep during the day. Raccoons are very intelligent, and like humans, have paws with 5 digits. These paws are capable of grasping and prying, just like ours! Although raccoons are not rodents, they are still considered nuisance wildlife because they are known carriers of infectious diseases that can be dangerous for humans and pets. They also cause structural and landscaping damage that can be costly and tedious to repair. So if you have a raccoon problem on your property, contact a local wildlife removal and control company to have them safely and humanely removed. If you suspect you might have raccoons in the attic, call a professional service immediately to avoid further damages and costly repairs. When nuisance raccoons have you feeling hopeless and helpless, perhaps it is time to consider your options for safe and humane raccoon control. 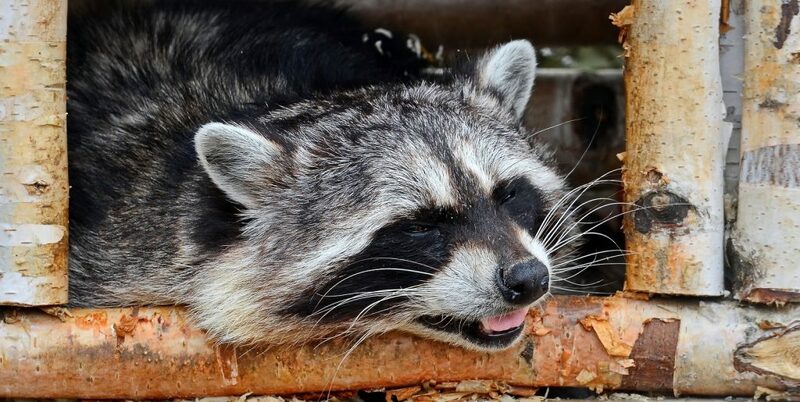 There are several things you can do to make your property less attractive to raccoons, primarily environmental modifications like removing food and water sources, locking up trashcans, planting cucumbers or marigolds, and installing garden fences. In fact, read our blog, “How to Keep Raccoons Away From Your House” to learn all the things you can do to help thwart nuisance raccoon activity on your property. As an option for environmental modification, many homeowners are opting for a more instant solution to repel nuisance raccoons, which is why store-bought repellents are becoming more and more popular these days. Of such repellents, your two umbrella options will be to choose between a liquid-based formula and a granule-based formula. Before choosing a product and implementing an application, be sure to learn your facts about both types of repellents. Continue reading to learn what you need to know about liquid and granule raccoon repellent products, as well as, how to make your own, homemade, non-toxic raccoon repellent. Liquid repellents come in liquid form, and are generally intended to be mixed with water to create a spray-able solution. This allows you to target specific areas, like bird feeders, play sets, trashcans, windows, compost piles, and more. 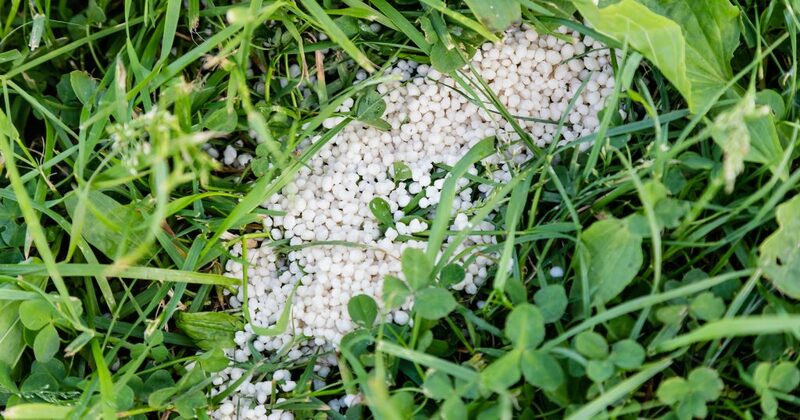 It can also be used to create an invisible perimeter around your entire property, which is best implemented with a sprayer, but generally, granule repellents are best for that job. Granule repellent products come in granules, like little beads or balls. These are meant to be sprinkled or dusted around the perimeter of your yard, garden, or other infested area to create a defense barrier against nuisance raccoons and other intervening wildlife. Although effective, it is not recommended for those who have outdoor pets or children. These granules can cause illness if ingested by dogs, cats, or children. To avoid potential hazards associated with chemical repellents, you might want to try making your own homemade solution using common household ingredients like cayenne pepper and garlic. Read our article, “How to Make a Safe Raccoon Repellent” to learn what you need and how to get started. You will discover which scents and tastes raccoons hate, and how to apply them safely to your property without jeopardizing the health and well-being of your loved ones, including pets! Call us today at 502-553-7622 for professional Louisville raccoon removal and control services today. We offer a wide range of services for residential and commercial properties, including raccoon removal, control, prevention, proofing, cleanup, attic restorations, and more. Call 502-553-7622 to request a free estimate or information about Louisville raccoon control, today. Hunting is a favored pastime for millions of people all over the world. From exotic jungles and desert plains, to dense forests, cavernous mountains, rushing rivers, and more, hunting is a communal effort for both survival and pleasure. It is also a grave responsibility that mandates certain obligations. If you are interested in hunting wild game in your state, it is important to know the regulations before grabbing a bow and heading for the woods. Many people jump to the idea of hunting after being bothered by nuisance wildlife. In fact, many people ask whether or not they are allowed to trap or hunt wild animals, like raccoons, in their very backyards. Continue reading to learn what you need to know about raccoon hunting laws in Kentucky, and how to stop nuisance raccoons from trespassing onto your property for good. 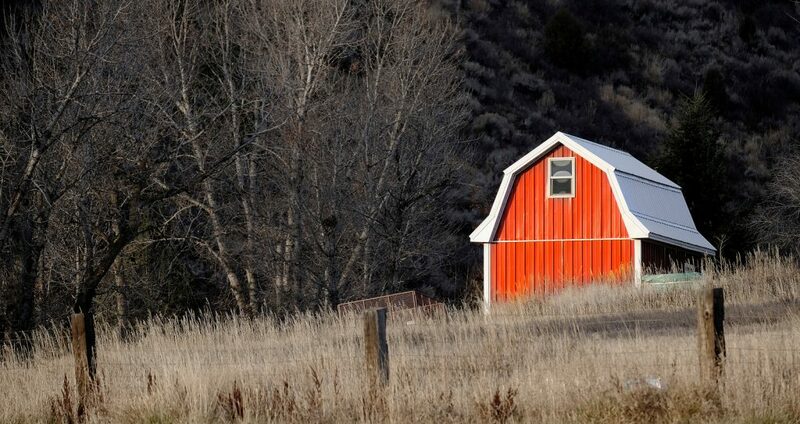 Private land owners, as well as their spouses and children, are legally allowed to hunt and fish on their land during open season without a permit issued by the Kentucky Department of Fish and Wildlife. Non-resident land owners must purchase a license from the Kentucky Department of Fish and Wildlife to be permitted to hunt on their own land. Military land owners stationed out of the state are exempt from this restriction. 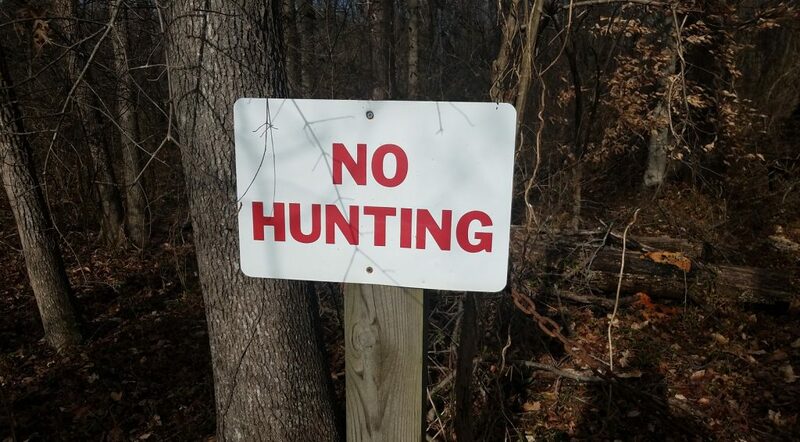 The Kentucky Department of Fish and Wildlife permits private land owners to refuse access to their property to other hunters. For fur, private land owners can request a fur trapper to remove fur-bearing wildlife, such as raccoons, beavers, and minks, but only during the legal trapping season, which is from mid-November to the end of February. To get rid of nuisance wildlife like raccoons, it is strongly encouraged to seek professional assistance from a Kentucky wildlife removal company. 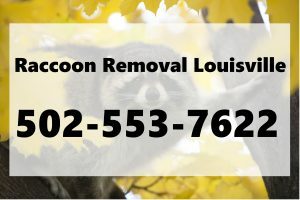 Call 502-553-7622 for safe and humaneLouisville raccoon removal services today. We offer a wide range of services for residential and commercial properties, including raccoon removal, control, prevention, proofing, cleanup, attic restorations, and more. 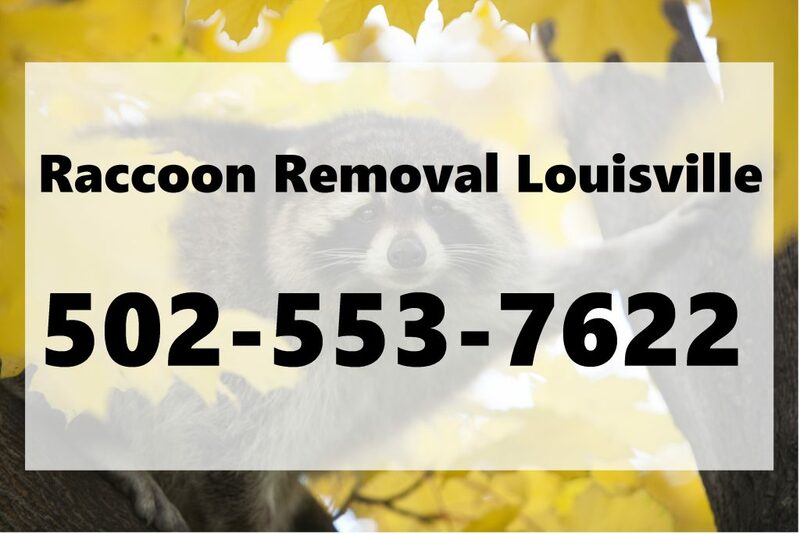 Call 502-553-7622 to request a free estimate or information about Louisville raccoon control, today. When raccoons invade a house, they go on to cause a long list of structural damages. Not only do they rip through insulation, floorboards, electrical wiring, and window screens, they also soil and saturate everything in sight with their droppings and rotted food. So once you discover a raccoon infestation, chances are, damage has most certainly been done. Faced with the realization that you need emergency raccoon removal service, followed by an ambiguous degree of renovation, your first thought might be about your home’s exposure to wildlife intrusions. Just how do raccoons get into a house? How can they accomplish such a sophisticated feat? Continue reading to learn the answer. Raccoons have human-like paws that are highly dexterous. 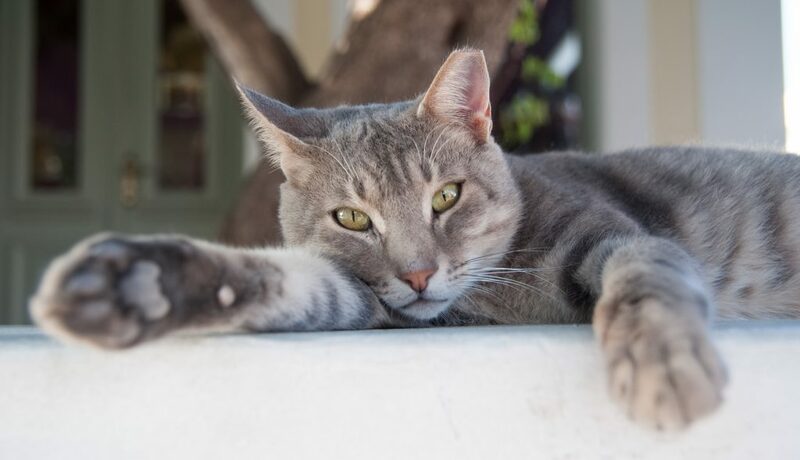 Not only can they easily grasp, pull, twist, and lift, they also have long, sharp claws that provide them with a hefty advantage in terms of home intrusions. With these mighty paws and claws, raccoons can open doors, windows, and even unlock locks. Being an innately intelligent mammalian species, they can figure out puzzles, solve problems, and keep a good memory. All of these attributes plays into their ability to invade our homes. If you leave a window or garage door open at night, that is an easy way in for any wild animal; but raccoons will find clever ways inside, even if all of your windows and doors are shut. Common target areas for raccoons to inspect for access include loose or missing roof shingles, crumbling mortar, rotted siding, chimneys, roof vents, and similar entry points. To learn how to protect your home from wildlife intrusions, read our article, “Animal-Proof Your Property Before Raccoons Begin Breeding this Spring” and get your house ready for nuisance raccoons. As soon as you discover a raccoon, or a group of raccoons, inside of your home, your first priority is safety; so get all pets and people away from the area, and be sure it is secluded and secured. Next, immediately contact a wildlife control and rescue company for emergency raccoon removal services. They will show up promptly to extract the raccoons, safely and humanely. One of the biggest concerns among homeowners who frequently spot raccoons on their property is the risk of being exposed to Rabies. This is a reasonable concern considering raccoons are common carriers of the rabies virus. To put your mind at ease, it helps to learn what a rabid raccoon looks like. In turn, this knowledge will help you keep your family and pets safe from the potential of exposure. Continue reading to review a basic description of how a rabid raccoon appear and behaves, and keep these markers in mind the next time you see an animal acting strangely. The Rabies virus is serious because it is usually fatal. Rabies is transmitted through blood, saliva, and other bodily fluids. This means a bite, scratch, or simple mix of fluid can pass the virus onto another host, just like the common cold. Once infected, rabies travels directly to the brain, where it causes inflammation (encephalitis), and ultimately, death. Unfortunately, there is no cure for the Rabies virus once a person or pet is infected. Because Rabies affects the central nervous system, it is generally easy to identify through mere observation. 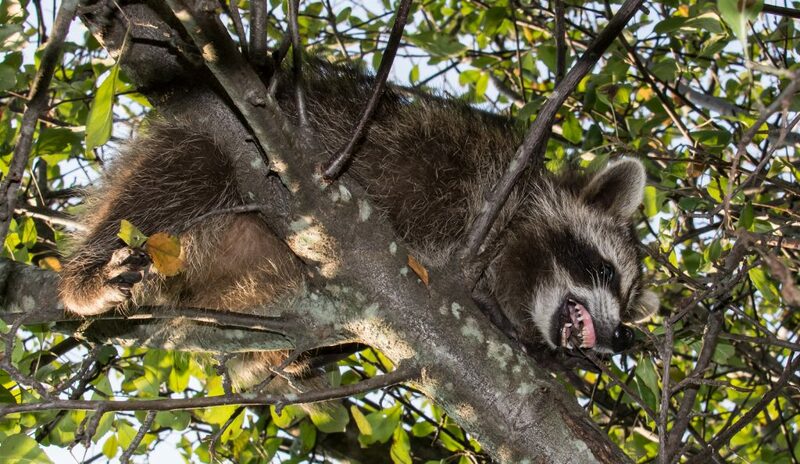 Following incubation of the virus, a raccoon will enter an initial period of unusual behavior known as the prodromal stage. The most common sign during this stage is a raccoon active during daytime hours. Within a few days, signs begin to appear more evident and severe. Raccoons may display very aggressive behavior, just as hissing and barking. They may also display non-aggression behavior, such as drooling, lethargy, and paralysis. Other common signs of a rabid raccoon include dilated pupils, confused behavior, wobbly stance, difficulty walking or standing, and other types of lost coordination. Once a rabid raccoon enters a state of paralysis, they do not have much longer to live. In this state, they may appear like they are sleeping because they are breathing, but not moving a muscle. Some additional animals that can carry and transmit rabies include bats, skunks, and fox. Be sure to keep a safe distance from these species as well. And also be sure to keep your pets vaccinated against Rabies and other transmissible diseases. Raccoons are not a hibernating species. However, they do exhibit behaviors that are quite similar to hibernation, but for the majority of the years, raccoons remain active and curious. But even though raccoons do not enter a state of hibernacula (deep sleep with lowered body temperature and heart rate), they do still need cozy shelter to make their nests during the colder seasons. And sometimes, the places they choose are pretty odd. 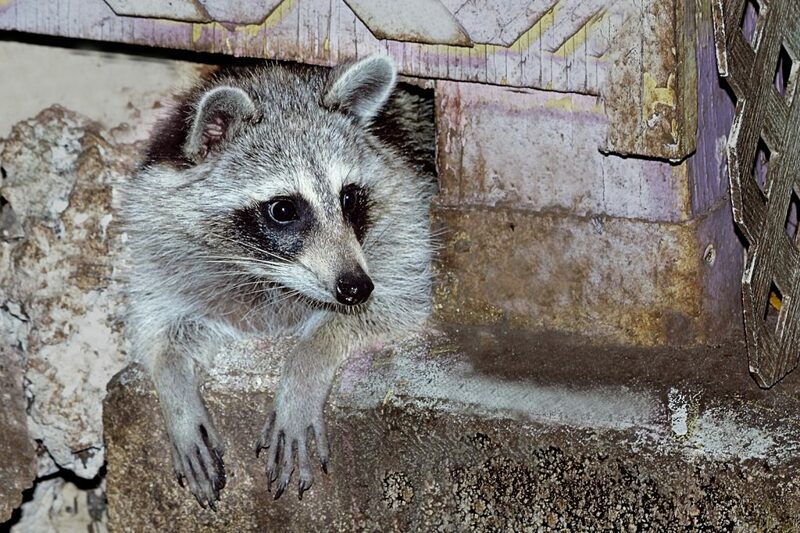 Continue reading to learn some strange places raccoons are known to nest, and what to do if you discover hiding raccoons on your property. Primary habitats for raccoons in nature include tree cavities, hollowed tree trunks, rock dens, old animal burrows, and similar sheltered areas. As for urban and suburban areas, raccoons have a whole separate set of unique options. Most often, raccoons are found infesting residential and commercial properties; usually in attics, crawl spaces, wall voids, garages, and outdoor structures like sheds and storage units. Here, they will cause an extreme amount of damage over the winter season. But if raccoons cannot find access inside a home or building, they will look for alternative places to nest for the winter. Some of these places are quite unique, making raccoons a very thrifty species. After all, they are incredible intelligent and retain memory well. That is why raccoons tend to be a persistent problem for property owners; they remember where the good food sources are and will continue to pillage them until they are stopped. ➥ Stationary Vehicles – It may seem very unsuspecting, but the undercarriages of vehicles can make a cozy little shelter for wildlife. Raccoons, opossums, squirrels, and chipmunks are common nuisance wildlife found nesting underneath an abandoned, stationary, or junk vehicle. Be sure to take extra precaution when checking your vehicle for nesting animals. ➥ Tree Houses – The kids may have outgrown the tree house you built for them years ago, but there are several animals that consider it a gem. Raccoons are one of those animals! They have long claws and dexterous paws that give them excellent climbing ability, allowing them to access tree house with ease. If your kids have not entered the tree house in several months, it is important that you check it for animal nests before it is back in use. ➥ Tall Grass Beds – That tall grass we sometimes plant on our properties can be easily trampled down in the center, creating a circular shelter with tall grassy walls. Animals like raccoons, skunks, and opossum are well-known for using these grasses for nesting areas. It may look like normal grass on the outside, but at a closer glance, you may find a nest in the middle! ➥ Empty Hot Tubs and Pools – If you have a hot tub or swimming pool out of use, be sure it is secured well. Raccoons love to use these vacant spots to make their nests for the winter. And it is certainly not fun for the homeowner since they get quite the surprise when it comes time to re-fill their hot tubs and pools! Got Raccoon Activity Near You?